IceWarp Anti-Spam LIVE Cloud provides organizations sophisticated multi-layered security. Our proprietary dual system Spam Protection & Virus Protection is fully integrated & delivers organization-wide protection from threats, while IceWarp's intrusion prevention system stops malicious or unwanted behavior in real-time. 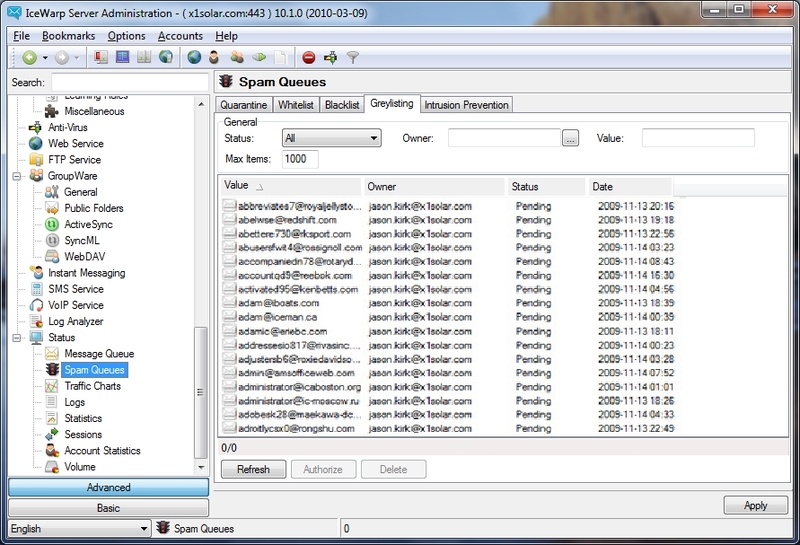 Spam Report; Spam Folder; Chinese Spam Definition, Real Time Asian Spam Detection; Chinese Spammers Database. Please call HK +852.23121631 for more detail. By combining 20+ antispam technologies, IceWarp Server provides organizations with high accuracy right out of the box. Through sophisticated behavior analysis, artificial intelligence & auto-learning, IceWarp spam protection adapts to your organization's u­nique messaging behavior. With no management required, the longer you use IceWarp Anti-Spam, the more accurate it will become. For more information please visit our technical specification pa­ge. The IceWarp Anti-Spam Live Identification & Verification Engine offers real-time protection from the moment a spam outbreak emerges, & delivers a detection rate exceeding 98% accuracy. LIVE technology is implemented as a second layer in IceWarp Anti-Spam utilizing the Commtouch ® RPD – Recurrent Pattern Detection service. 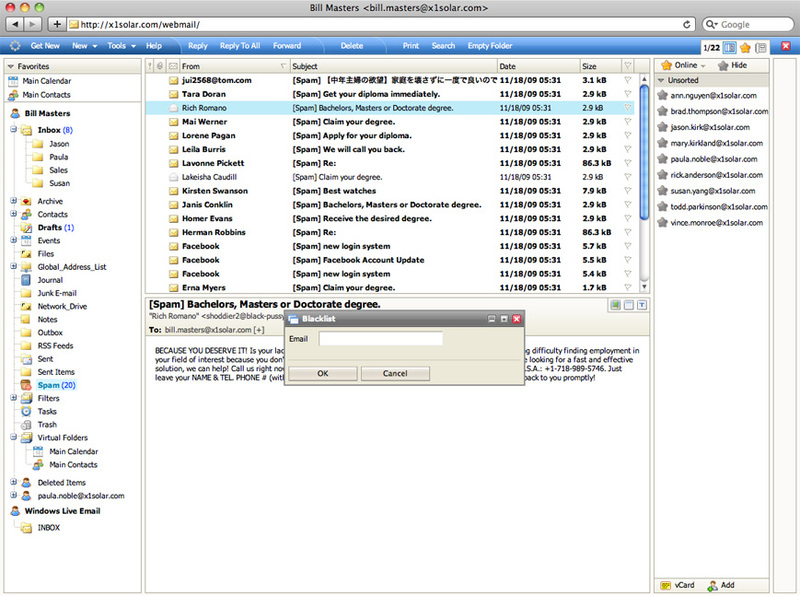 Users can take control of their inbox. 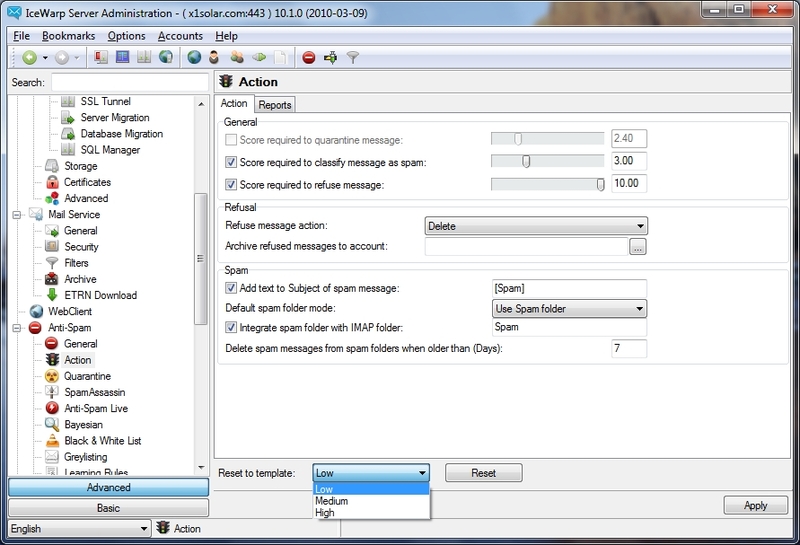 All messages identified as spam are automatically stored in the users Spam folder, accessible through IceWarp WebClient, IceWarp DeskClient, Outlook ® & other IMAP-compatible clients. 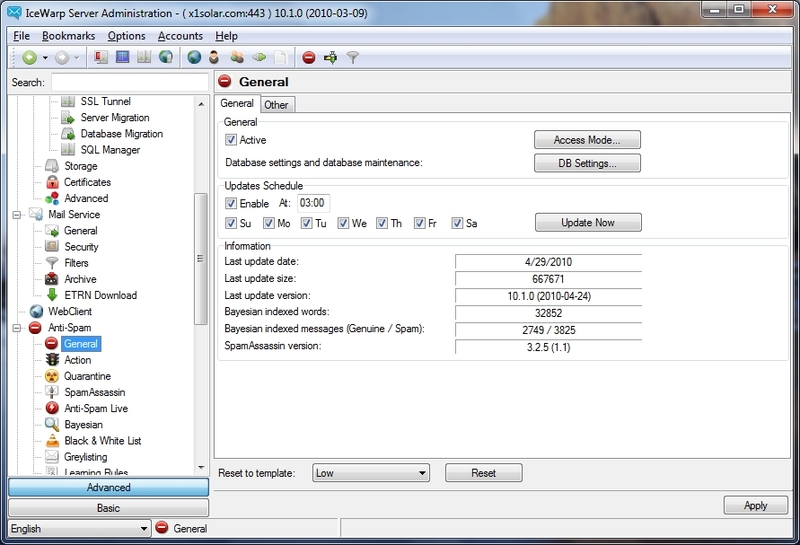 Users also have the option to manage these lists via IceWarp's automated Spam Reports. From the Spam folder or the Spam report email users can take action on messages, including adding the sender to their black or white list. Antivirus protection is based on the high-performance Kaspersky ® AV engine, & provides powerful multi-threaded processing, capable of scanning over 4,000 messages per second. Be it email, GroupWare attachments, FTP, IM SOCKS Proxy or IMAP APPEND, every file going in or out of the server is scanned and validated. Central management of user & domain-level quarantine prevents false positives after initial Anti-Spam deployment, & allows administrators seamless control of the messaging security. IceWarp provides administrators with granular threshold control over all 20+ antispam technologies to ensure you can modify setting based on your organization’s ne­eds. IceWarp Active Update technology delivers antivirus & antispam databases automatically & incrementally, protecting your organization with the most current definitions & reducing the impact to your network infrastructure. A single IceWarp Server can also be the virus definition server for other IceWarp Servers.